It hardly seems like cricket to wave a book at everyone and then say how brilliant it is knowing that there seem only to be about six copies available in the world. Add this to the list and start hunting at jumble sales, charity shops and library catalogues ( not necessarily in that order ) for Dymphna Cusack. I had to buy my copy of Jungfrau published in 1936, from a second-hand bookseller in Australia (if you do find a copy check it's not Jonathon Hardy's stage adaptation, there are a few of those around ) and Perry Middlemiss had given me enough information here to know that I had to read it. Was it only a few weeks ago I was bemoaning the lack of tell-it-like-it-was 1930's fiction and then along comes Dymphna. Eve, Marc and Thea are three friends living in Sydney in the 1930's.Eve is an obstetrician, recently returned to her Catholic faith with a focused devotion, Marc a social worker, humanist and pragmatic, lives life to the full and Thea a teacher, the fragile, vulnerable butterfly of the three, uncertain about life or her place in it. Eve and Marc look on helplessly as events spiral ever downwards. 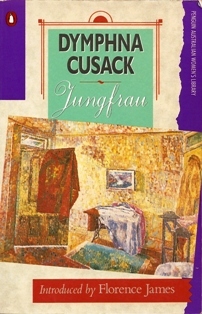 New perspectives then on the risks Dymphna Cusack took in deserting safe fictional territory for the harsh realities of Jungfrau. The book certainly met with shock and disapproval despite its second place in the Sydney Bulletin's annual novel competition and despite receiving high praise from serious critics. Tackling as it does a broad range of the social dilemmas of the 1930's from illegitimacy, frequent childbearing, deprivation, abortion and much more you can see that this is a book that would even today sit uncomfortably with current endeavours at republishing fiction from this time. But if we want a complete and honest picture of life as it was then, I hope someone somewhere does something with Jungfrau soon. It is part of the jigsaw and there are currently large gaps. Dymphna Cusack was often labelled as a writer of 'social documentary' but I agree with Florence James, this should not detract from her skill as a novelist. The book is by turns breathtaking and shocking as the limitations on women's lives are exposed. Despite their seeming independence the options are limited and I don't think I'm adding a spoiler if I tell you that when Thea inevitably becomes pregnant the options become even fewer.The friendship of the three is tested to its limits and each of them has to reflect on their position in life. "Being a modern woman nowadays is no sinecure, believe me, however pleasant it seemed in anticipation. Men aren't contented with us unless we combine about fifteen qualities that a century ago would have been farmed out among fifteen women.They expect you to soothe and comfort, and still to have a mind of your own; bear their children and keep figures like Greta Garbo at the same time; be all intellectual while retaining a schoolgirl complexion and a movie-magazine face, and cook their dinners before we go out to look the perfect dancing partner. 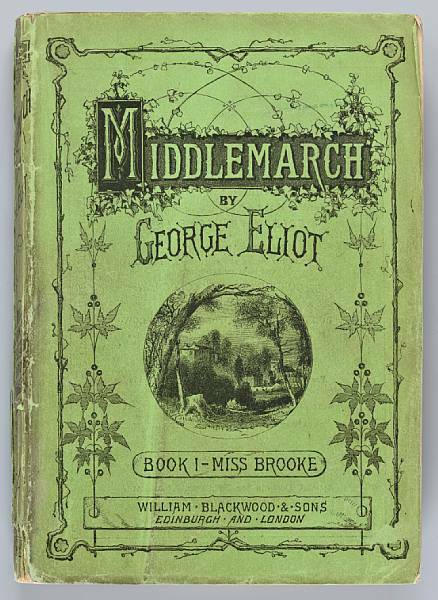 Last century a man may have expected all those things, but he collected them from his wife, his mistress, a devoted aunt, and grandmother as well as the barmaid at the local pub; and didn't expect one unfortunate to be all of them." "I wonder if we're any happier," Thea murmured, "or whether it was better that way?" "We're probably no happier but we find life more exciting now; and whether it's better or not, the fact remains that we don't choose our own fate." As the story unfolded I was indeed completely engrossed and the final third of the book makes for some of the most chillingly compelling, challenging and difficult reading even now, seventy years on. Stark and disturbing in its impact still. I was also bowled over by the excellent character device utilised by Dymphna Cusack to play out the final few chapters, the character as both herself and an onlooker to herself and it works par excellence. I just hope anyone who wants to can find a copy to pick up in the first place.